– The Honourable Louise Arbour, Ambassador of La Balade pour la Paix, former UN High Commissioner for Human Rights. 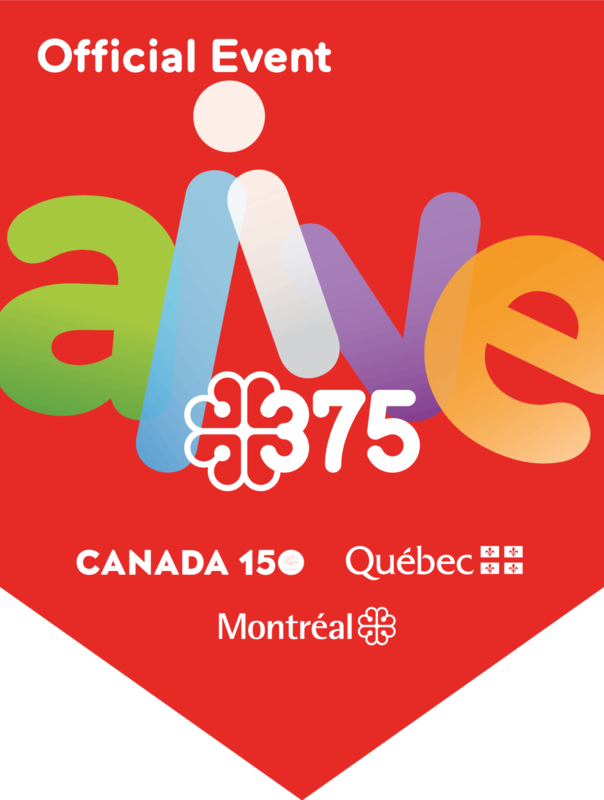 Forming part of the official program for Montreal’s 375th Anniversary, La Balade pour la Paix was designed and organized by the Montreal Museum of Fine Arts (MMFA) with the support of McGill University. 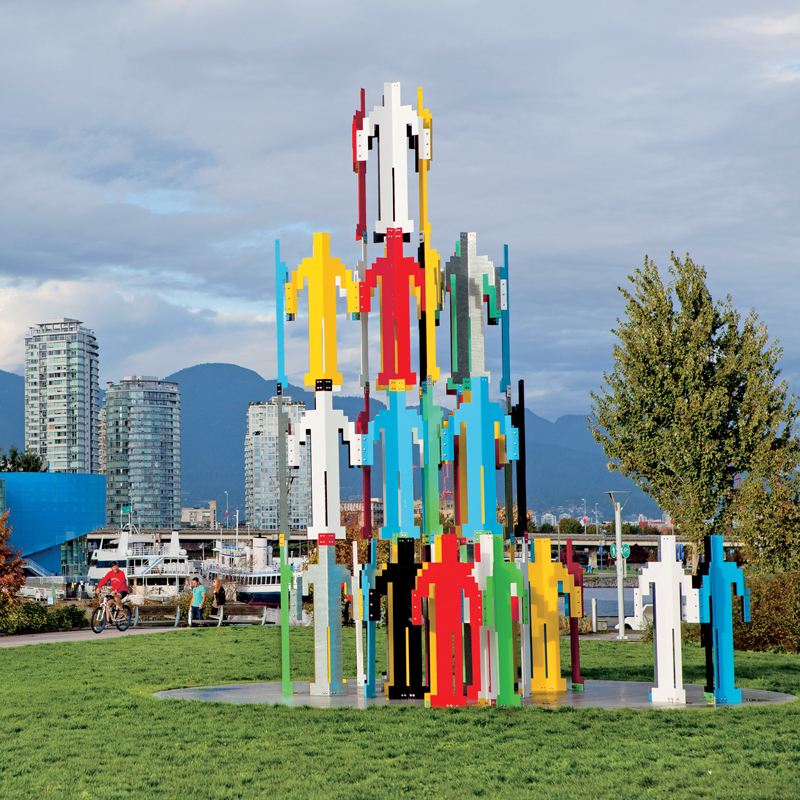 This public art exhibition of international scope also commemorates two other milestones: the 50th anniversary of Expo 67 and the 150th anniversary of Canadian Confederation. 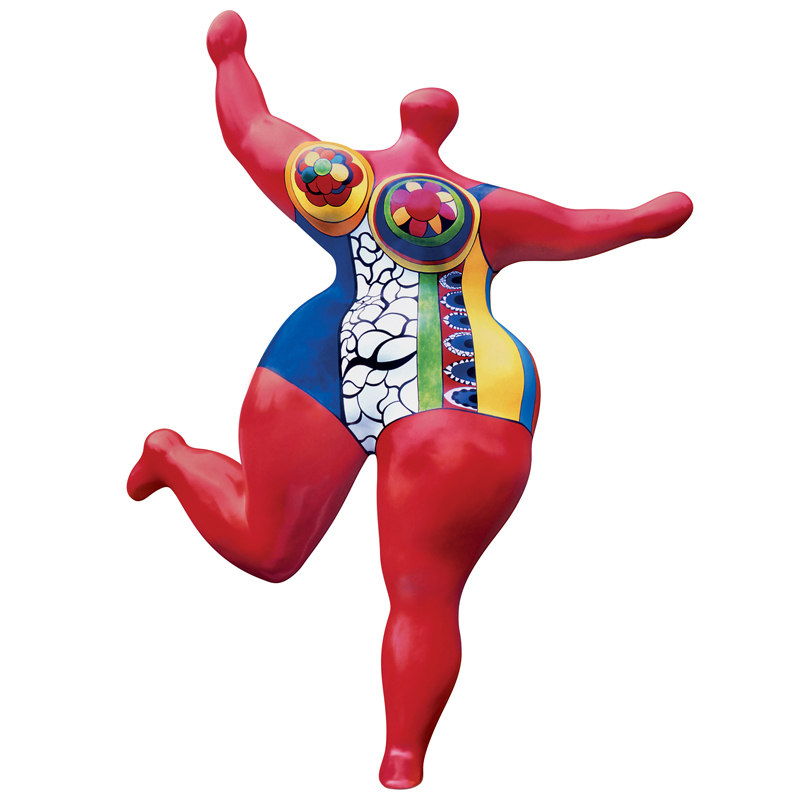 Niki de Saint Phalle, Dancing Nana (Rouge d’Orient – Bloum), 1995. 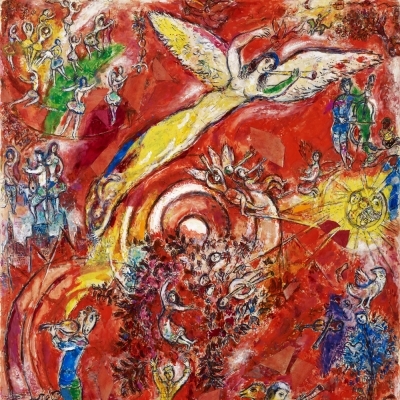 François Odermatt Collection, in collaboration with the McGill University Visual Arts Collection. 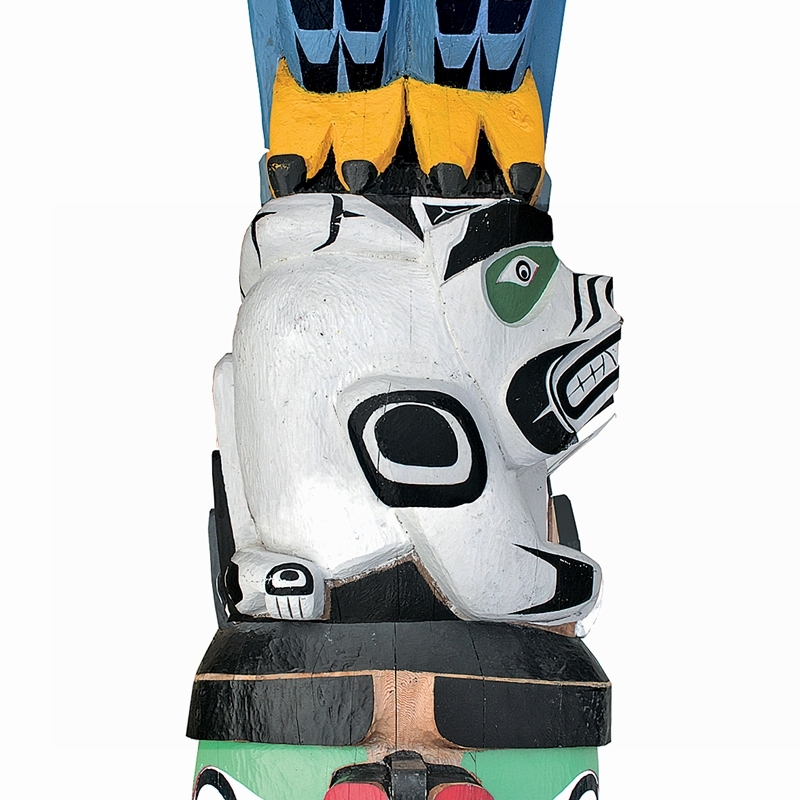 © 2017 Niki Charitable Art Foundation / ADAGP / SODRAC | Charles Joseph, Residential School Totem Pole (detail), 2014-2016. Private Collection. Photo Greg McKee 2016 | Robert Indiana (born Robert Clark), LOVE Blue Green, 1996. 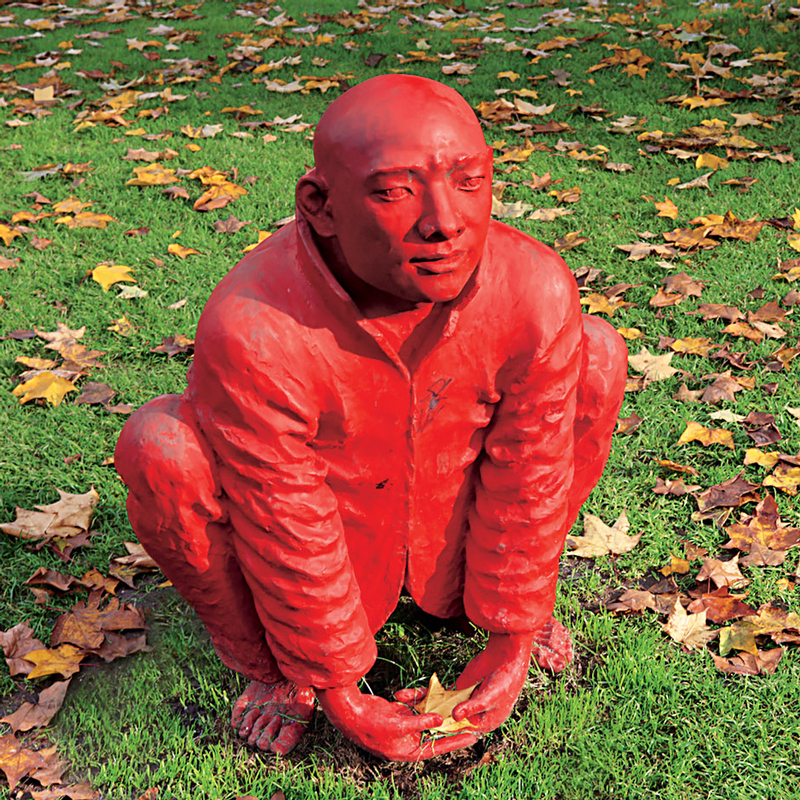 Buschlen Mowatt Nichol Foundation, Vancouver Biennale loan. © Robert Indiana / SODRAC (2017). 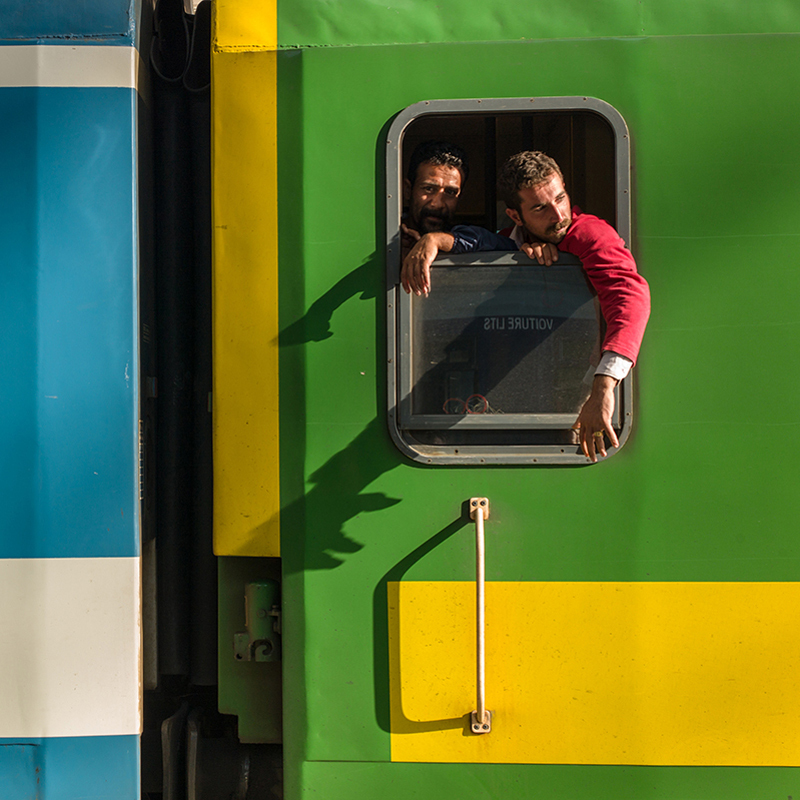 Photo Dave Aharonian | Michel Huneault, Boarding and Departure from Budapest, Hungary, for Germany (detail), from the series “Occident Express,” 2015. Courtesy of the artist. | Darren Ell, Haitian Girls in front of Notre-Dame Cathedral, Cap-Haïtien, Haiti, from the series “Cap-Haïtien and Shada,” 2008. Courtesy of the artist. This belief was expressed by the Enlightenment thinker Isaac Newton. Since “Building Bridges” is the theme of Montreal’s 375th Anniversary celebration, the Montreal Museum of Fine Arts took the initiative to link two of the city’s major institutional and international sectors—Concordia University and the Montreal Museum of Fine Arts at one end with McGill University and the McCord Museum at the other—for the very first time. 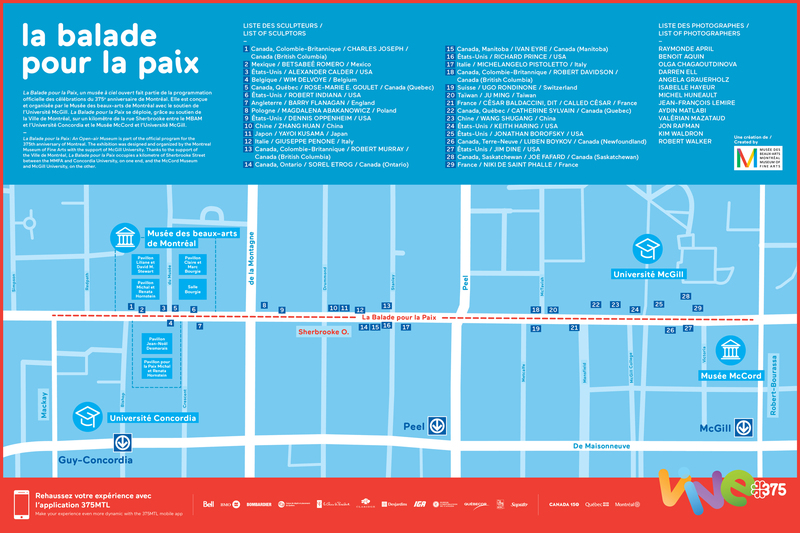 A true open-air museum, La Balade pour la Paix extends for over a kilometre along both sides of Sherbrooke Street. 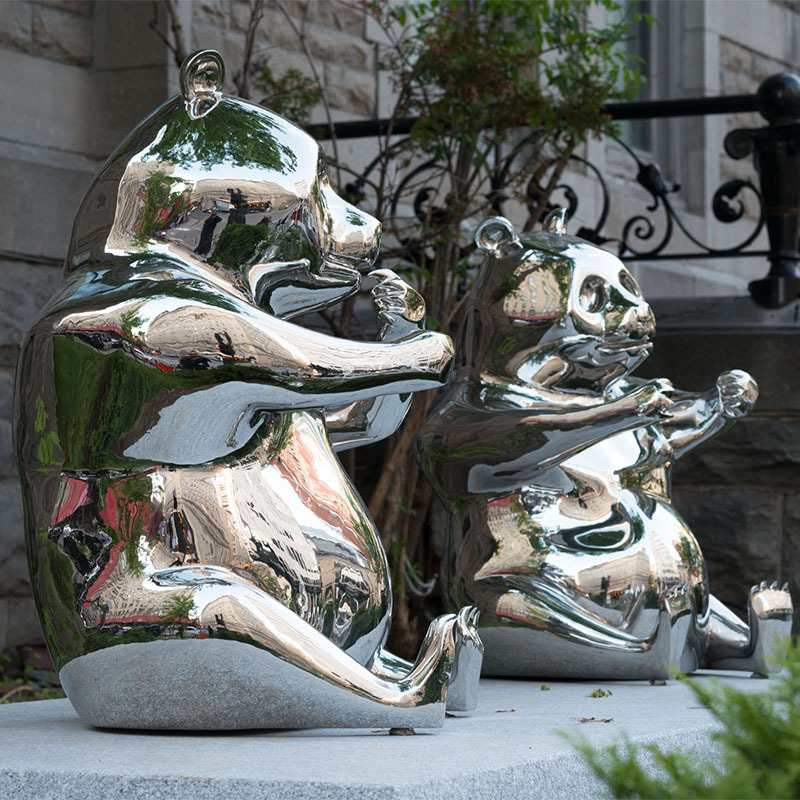 Lined with the flags of the world’s nearly 200 countries, the Confederation of Canada’s provinces and territories, and, last but not least, the Ville de Montréal, this festive route is punctuated with Canadian and international artworks. It serves as a reminder that the 1967 Universal and International Exposition—Expo 67—which drew 50 million visitors, was a window on the world and a memorable moment for both Quebec and Canada. This aesthetically comprehensive and engaging route through the heart of the city is spellbinding. 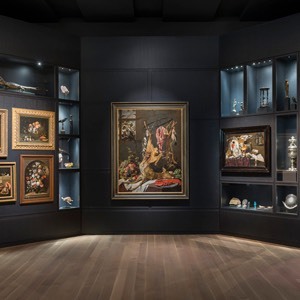 It begins near the new Michal and Renata Hornstein Pavilion for Peace, those Great Montrealers, Holocaust survivors, immigrants who became philanthropists, who made a major donation to the Montreal Museum of Fine Arts: in all, a hundred paintings by Old Masters and other works. 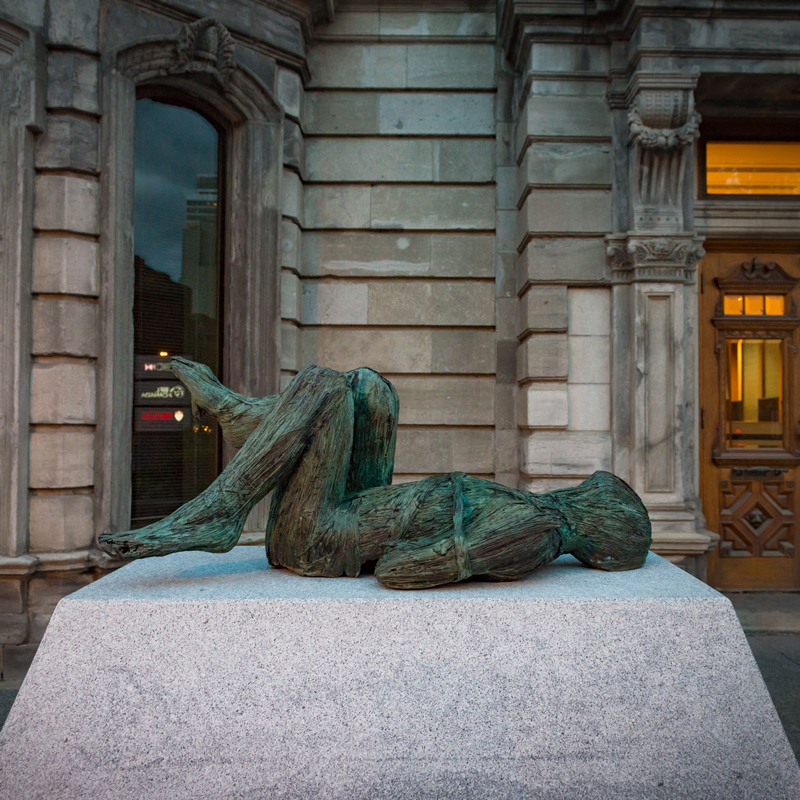 Dedicated to international art and education, the Museum’s fifth building is an official Government of Quebec legacy project for Montreal’s 375th anniversary. The Ville de Montréal’s motto is Concordia salus, which means “salvation through harmony.” Since 1701, when the Peace of Montreal was signed between European colonists and Indigenous peoples—an act of diplomacy unmatched elsewhere on the continent—Montreal has proclaimed itself a site of encounters. A metropolis of culture and knowledge, Montreal is one of North America’s top two cities in terms of student population and number of consulates. Montreal welcomes 76% of Quebec’s immigrants, one of the highest rates of an urban area in Canada. The Council of Europe named Montreal an Intercultural City: this status—unique in North America—is defined in particular by its francophone and anglophone cultures and enriched by its vibrant cultural diversity. 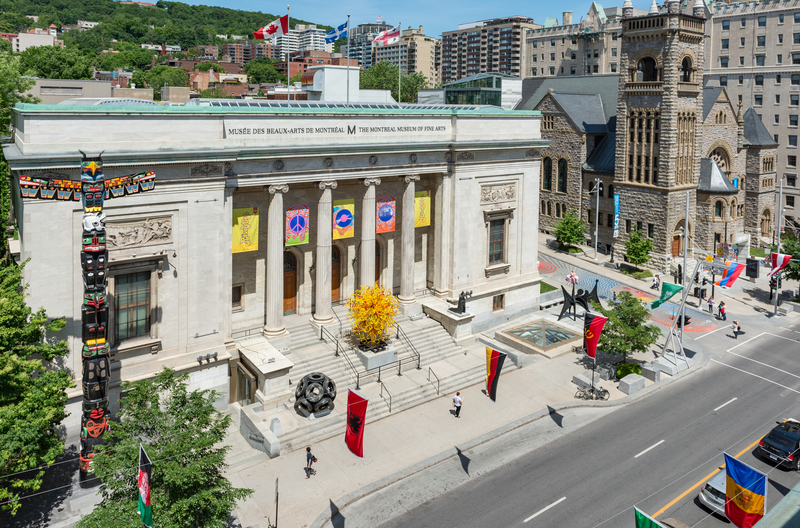 The Montreal Museum of Fine Arts wishes to underscore the contributions of the First Nations and the Inuit on society. 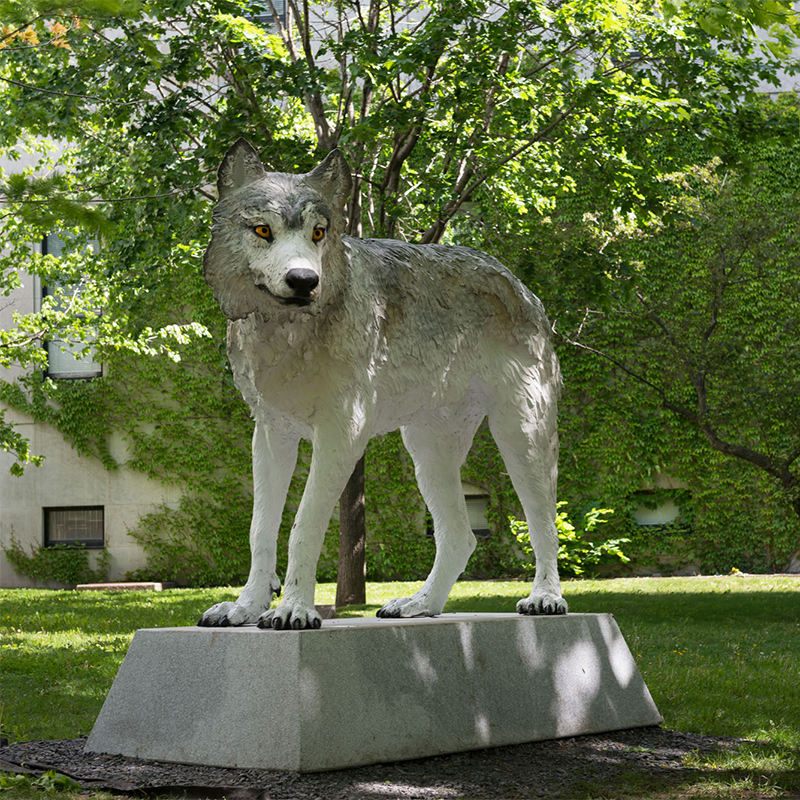 We recognize that our institution and exhibitions occupy unceded Mohawk territory, an ancient meeting place for the Indigenous people of this continent. 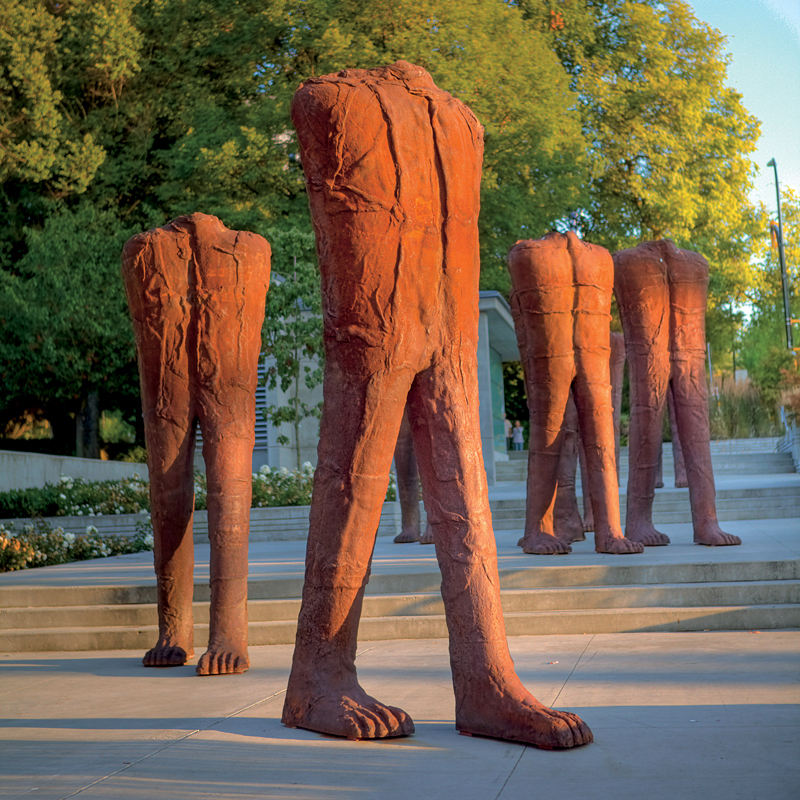 Some thirty monumental sculptures by contemporary artists from several countries and the five main regions of Canada are on display here. 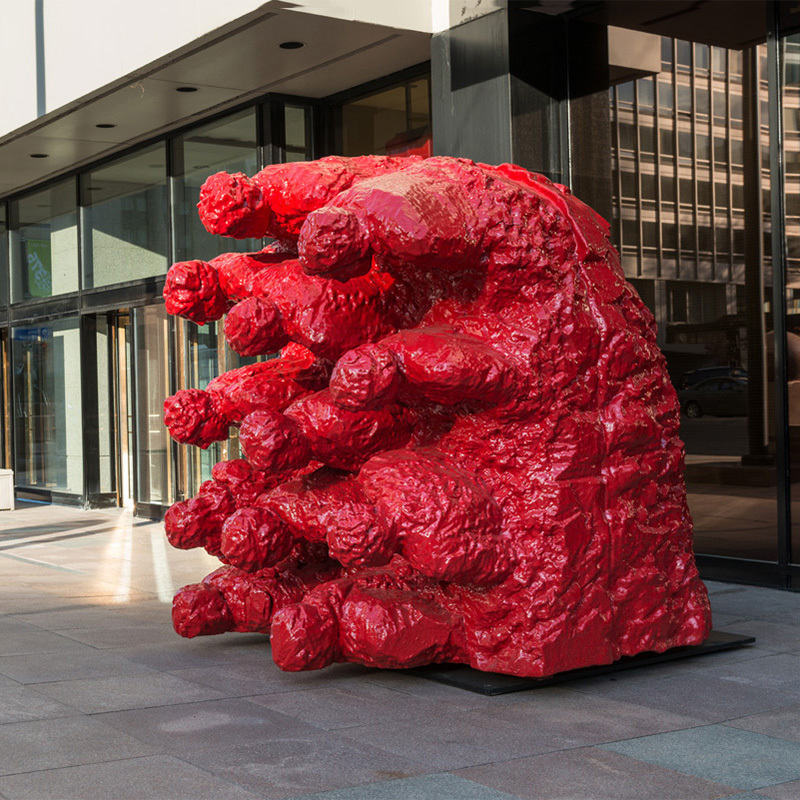 They are on loan through the generosity of private and public collections, artists and galleries. In keeping with the artistic universality of Expo 67, each work in its own way conveys a commitment, thought or humanistic message of peace, over and above its aesthetic properties, intent and choice of materials. 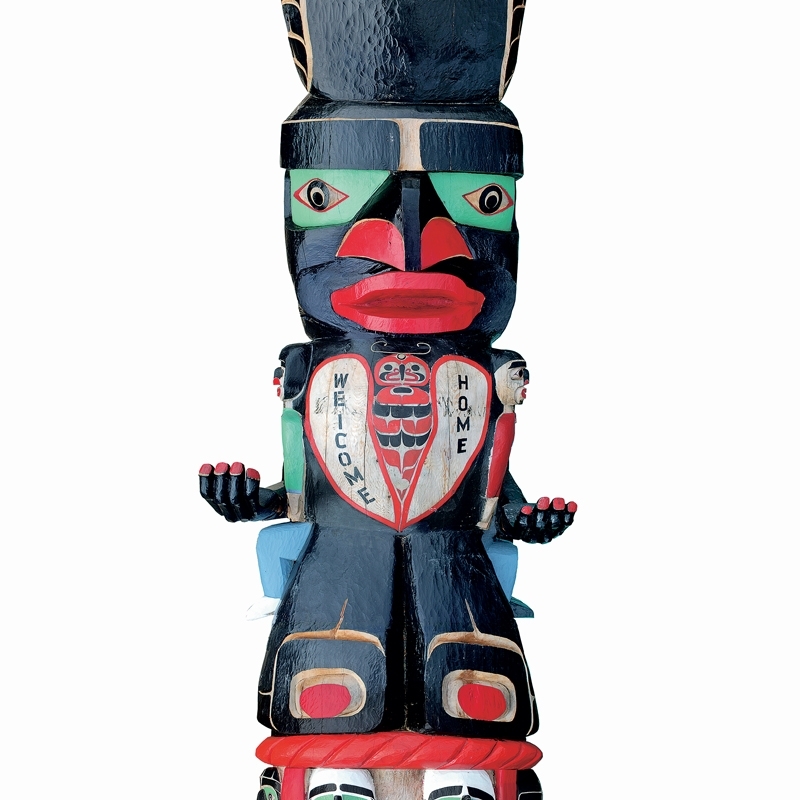 Charles Joseph (born in 1959), Residential School Totem Pole, 2014-2016, red cedar, acrylic paint, H. 1,524; W. 762; Diam. 152.4 cm. Collection Jim Balsillie Photo Greg McKee 2016. Faces of patron’s family, nine to twelve inches wide. Each face is different. Man’s face is bigger than his son’s, and carved differently. 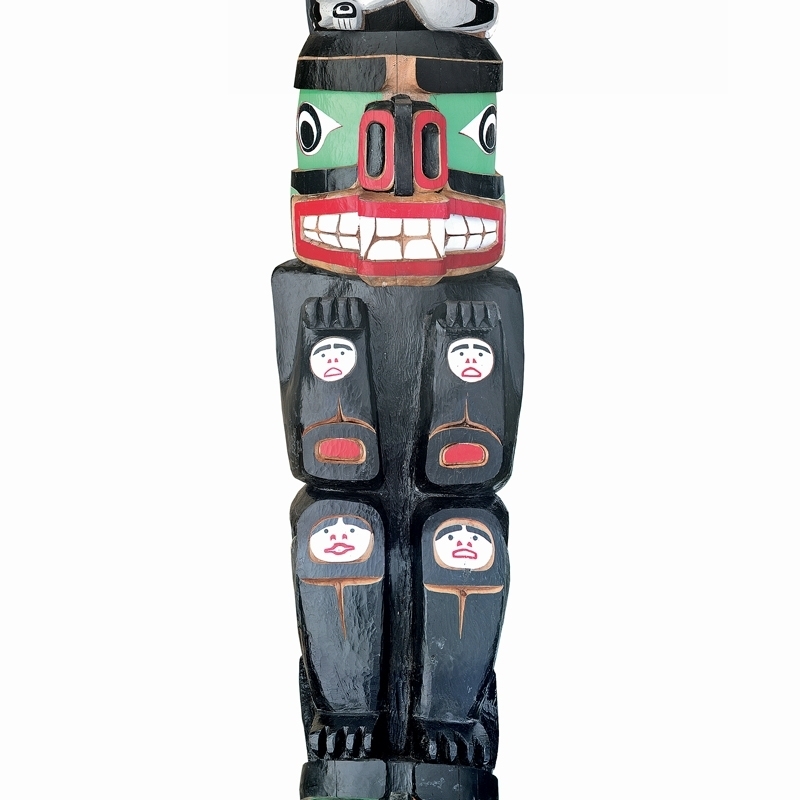 The placement of the patron and his family at the bottom represents the origin of this particular pole. It’s a representation of the foundation of the agreement culminating in the production of this work. This is something that Charles felt strongly about. 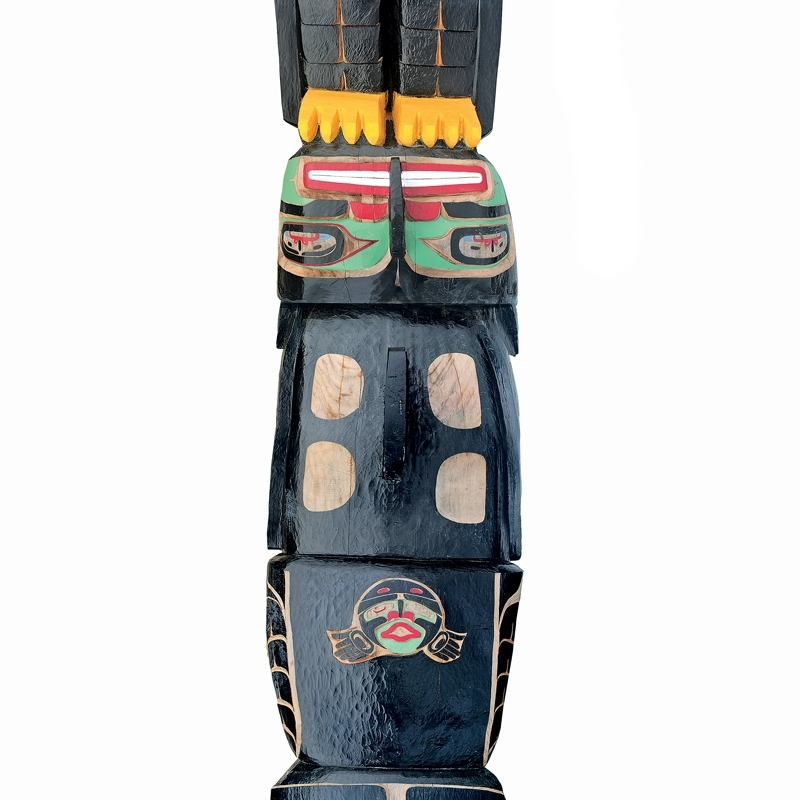 Initially, he was planning to place the man higher on the pole, nearer the chief, but the final placement felt more appropriate and is a mark of commemoration and gratitude. Above that is a cedar ring, which looks like a rope. 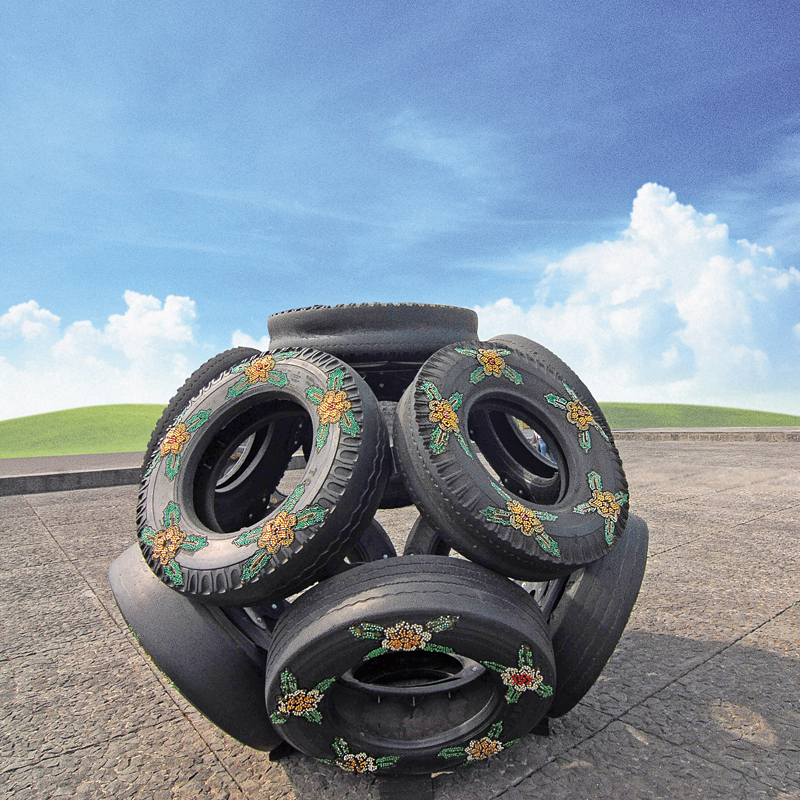 It symbolizes safety and security. The Kwakiutl use cedar for everything, including rope. The cedar rings are used around the neck and wrists and also for skirts during dancing. All of the carvings that are being used on the current poles and walls comes from Charles’ great-grandfather James Wadham’s. The history line of these designs belonged to this man. Every family has significant designs that belong to their households. The next figure on the pole is the wild woman. She is nine feet four inches tall on her knees. She has children on her lap, one on each knee. They represent the children coming back from the residential school, and she is welcoming them home. She represents female tradition and culture. 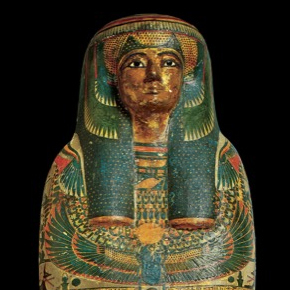 The women are responsible for keeping track of the family artistic and cultural traditions. They will talk about this before meals that are accompanied by leisure and family time. Sometimes they would also act out the stories, or dance them out. The high-ranking chiefs wear a wild woman mask when they retire from their chieftainship, if that is part of the tradition of their family treasure boxes. They do this to represent their respect for the tradition keeping that is characteristic of the women. Charles tells the children who stop by his studio the story of the wild woman, who is often carved, and whose story was used to stop children from playing too carelessly in the forest when Charles was young. Frequently, in poles, the bear has the woman in between his legs, as if he is hugging her, and his arms raised, showing his claws. Inside the paws faces are carved, representing their eventual children. On the chest of the wild woman there is a butterfly. The butterfly represents the Turner Island tribe that Charles comes from (Mumtagila Tlowitsis). The butterfly wings look like a heart, on which it says “welcome home” in English (because the children have just returned from school… and they lost their language). 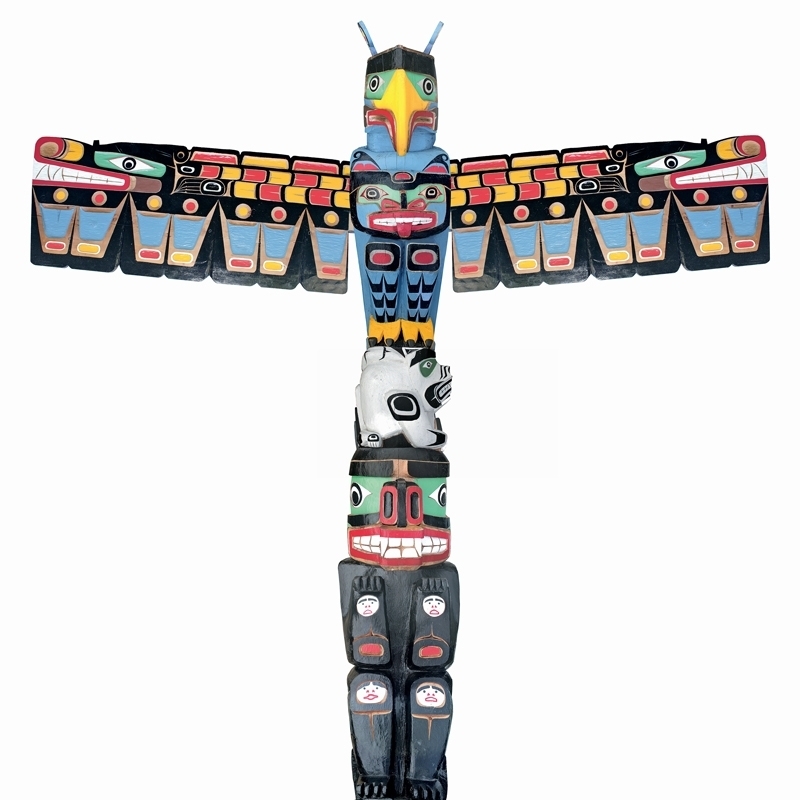 The butterfly, which is used in opening ceremonies, during potlatches, for example, or a feast, or when children are named, or coming of age (when they get new names and new dances), or marriages, or celebrations for life, as an alternative to grieving (or as healing for grief) is also on top of the Numas, who is the highest-ranking man, from before the great flood. It is the butterfly that shows Numa the dry land emerging from after the flood, which he envisioned. He had all the tribes make cedar ropes, hundreds of feet long, to tie all the canoes together during the flood. Some of the canoes broke away, however, drifting all around the world. Such ceremonies are often planned by whole families, and everyone plays at least some role (provisioning gifts, for example). The next figure is the killer whale: nine feet. 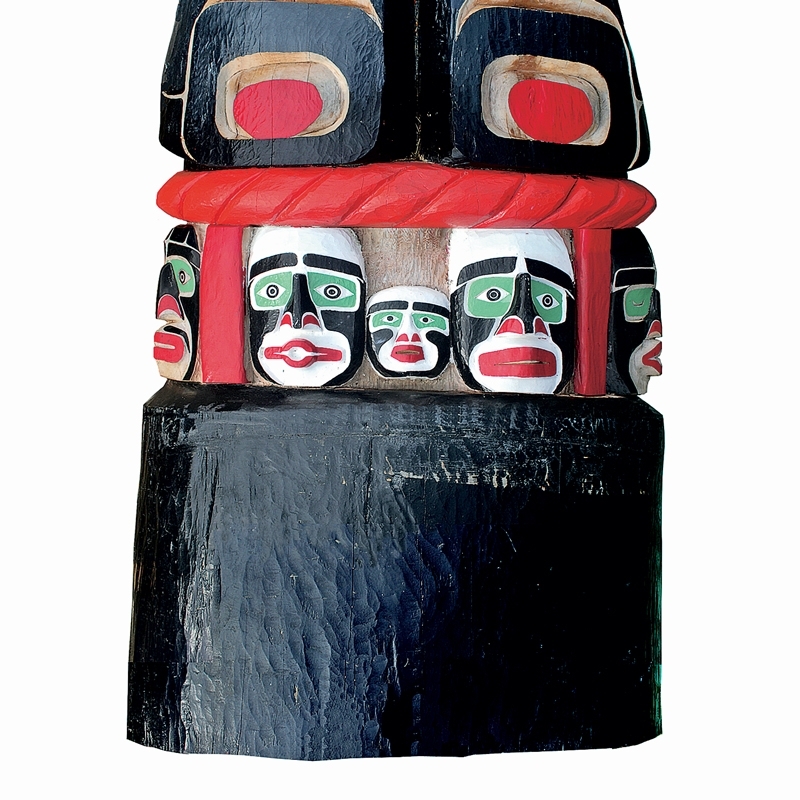 The whale has seven faces, representing six tribes known to the government, and one whose existence is disputed or ignored. That’s Charles’ tribe. Charles also laid out the seven faces partly for artistic reasons, as it balanced the pole well. The whale leaves where it’s from, goes all the way around the world, and comes back to where it was born. There is a famous rock near Robson Bite where whales go and scratch. This is now Robson Bight Ecological Reserve, which Charles says is part of their historical territory. The same whales always come back, although modern researchers do not know where they go after the summer. Charles’ great-grandfather said that the whales were following their food sources, traveling where it was necessary. When the big tides comes in, in their different cycles, bringing the whales the right kind of food, they often can be seen playing. This happens all along the Johnson Strait. Some are transients, who go right by – twenty to a pod. The homesteaders stay around longer, and cycle around the area: they come up and head north towards Port Hardy from the Robson Bite, then up Johnson Strait, to the top end of Queen Charlotte Strait, and then down to Georgia Pass, through Broughton Strait on the mainland side, back towards Robson Bite. This would be a full day’s ride in a good fishing boat. At night, in such a boat, you can hear them blowing, right beside you, close enough to touch. Charles’ people use to go out and feed them, and rub them at the rubbing rock. The faces represent the children who were adopted out from the reserves – all the native reserves across Canada. This pole is not just about Charles’ people, nor only about him. He had a wife and friends who were adopted out. They feel neither welcome in white society nor in the reserve. They can’t be native or white. They’re stuck between worlds. So these children were dispersed, like the whales traveling – but they could not easily come back home. Charles becomes aware of the the animal figures he is carving during his dreams. He feels that they are there all the time, but only evident during sleep. The figures speak Kwagiulth. As far as he is concerned, his great-grandfather and great-grandmother are speaking through the animals in his dreams. Sometimes he will take a break from carving, and have an afternoon nap. He will darken his room. If he is extremely tired, and is stuck on what he is carving, his greatgrandfather, great-grandmother and father will come into his dreams in the form of the animals he is carving and suggest solutions. They also appear into the animals that he is working on. They never appear as they were in life. Their voices, however, are constant, and the dances that the animals engage are also representative of what he saw when he was young. The raven is in the middle of the pole, midway between the bottom and top events. The raven is a trickster figure. He’s being used to represent the collusion between church and political state in the “assimilation” process, which produced people who didn’t make it at all – who died – and who emerged seriously wounded. There is a nun on the left side, and a priest on the right side. This is because when you faced the residential school, the women were on the left side (the women worked with the girls) and the men on the right (working with the boys). The dormitory building was half reserved for boys and half for girls. A four-story building seemed very big to Charles when he was six. There were kids who died. We were told they went home. The girls would get pregnant. There were abortions conducted in the infirmary, above the gym and auditorium. A nun nurse would be there for children with a bleeding rear end, or a pregnancy. It was “quarantined” so that outside people couldn’t tell what was going on in there. The nun and the priest are beside the Raven to illustrate all this. 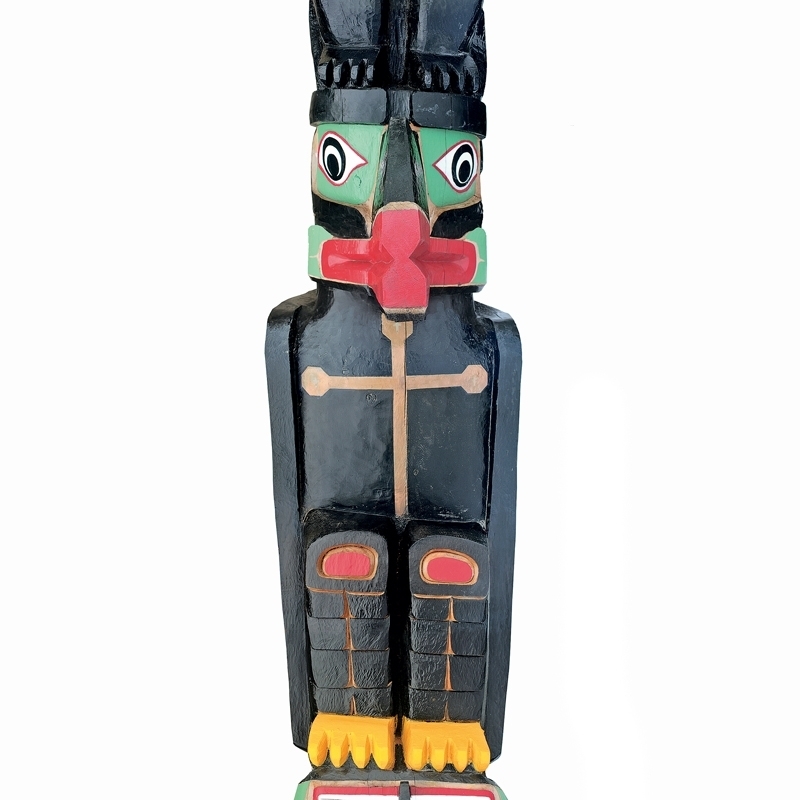 The horns on the Raven head identify his supernatural being. This emphasizes that the bird can transform. Horns on any animal demonstrate that it can transform, during a dance or on a carving. It can change into a human – the Raven, often, into someone who plays tricks. There are stories of the Raven, transforming into a human being, but losing his voice, and only being able to caw. During a dance, sometimes a Raven will drop flour on an audience member, out of the back of the dancer’s costume, to represent bird droppings. This is part of the joke. But you have to pay that person, later, for being a good sport, maybe twenty or a hundred dollars, depending on how well the joke worked. The Raven doesn’t like to be honest about things. He likes to play games. That’s the government worker, the Indian Agent, the staff members of the residential school, the priests and the nuns. None of them were who they were supposed to be. They dressed up like good people, but they were really something else. Charles saw this connection in a dream. This is a spirit bear. The spirit bear has many faces – on the palms, shoulder blades, ears. On that bear, all the faces represent the children that did not make it out of St. Mike’s – and who came out and died later, from the damage. A powerful bear story was told to Charles he was a kid. The bear patrolled our perimeter, to protect our territory. In Charles’ dream, the bear was very gentle when it was picking up the kids. Charles was climbing all over him, playing with this bear, with ten other kids. Arctic Fox is an observer and an animal that careful measures its engagement with its surroundings. In the Innuit story telling, to whom the patron has connections with, the fox serves as a witness to what happened around us. Both Charles and the patron thought that one of the most important outcomes in this creative process is bearing witness to our past. On top of the fox, the Kulus figure stands. The wings will be out there, like a cross. The doubleheaded sea-serpent, the sisiutl, will be carved across there. The Kulus represents Charles chief. The cross is there, because many of Charles family members are Christian. His family members use the church for service and for death and believe it’s good for them. That’s how Charles is representing the good aspect of church-going. 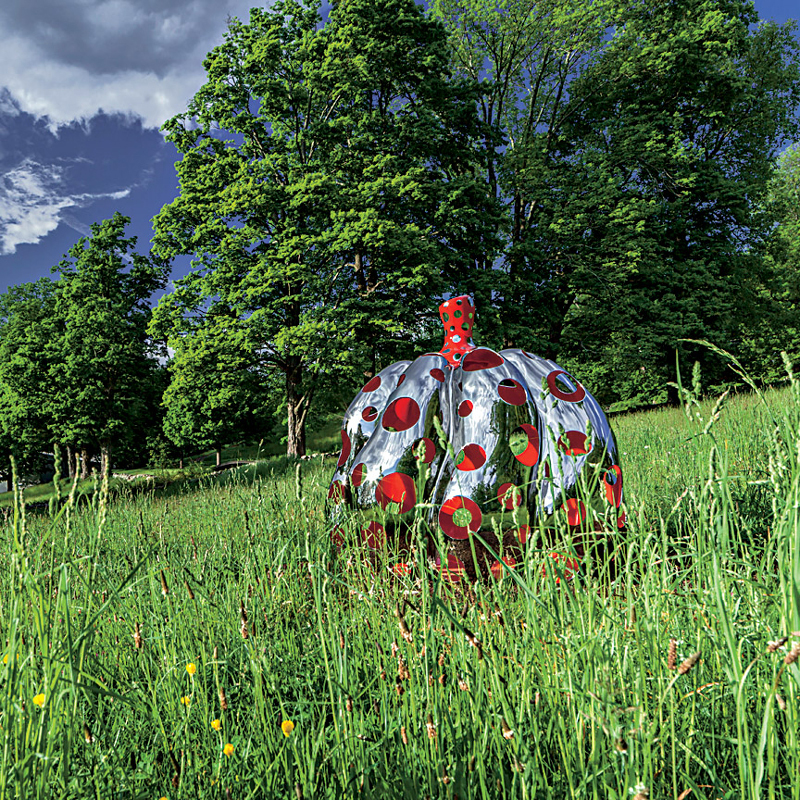 Visitors strolling by the sixty-seven stations along the route will see recent works by thirteen contemporary photographers. These Montrealers of various backgrounds have criss-crossed the planet to capture the state of the world with their cameras. Intimately linking art and life, their documentary and art photographs share a reflection: this urban photo album, based on the values of openness and tolerance, expresses our need to find better ways of living together on the planet we share. The photographers represented are: Raymonde April, Benoit Aquin, Olga Chagaoutdinova, Darren Ell, Angela Grauerholz, Isabelle Hayeur, Michel Huneault, Jean-François Lemire, Aydin Matlabi, Valérian Mazataud, Jon Rafman, Kim Waldron and Robert Walker. Aydin Matlabi is the author of the series “Heritage” shown here (ill. 7). In 2016, he photographed children with HIV or disabilities, war orphans, child soldiers and children accused of witchcraft in the Bumi orphanage in Lubumbashi, Democratic Republic of Congo. By dressing them in African wax prints, the quality of which reveals the social status of the wearer, the artist gives the children back power over their lives and their future. The photographer received the Healing the Void Award at the Artraker Biennial in Valetta, Malta, in 2017. The curators for La Balade pour la Paix are Nathalie Bondil, Director General and Chief Curator, The Montreal Museum of Fine Arts, Diane Charbonneau, Curator of Modern and Contemporary Decorative Arts and Photography, The Montreal Museum of Fine Arts, and Sylvie Lacerte, public art consultant and art historian. “Simplicity is the glory of expression,” Walt Whitman said. The route was designed by Claude Cormier + Associés, an international landscape architecture firm based in Montreal. The urban furniture is by Quebec industrial designer Michel Dallaire. 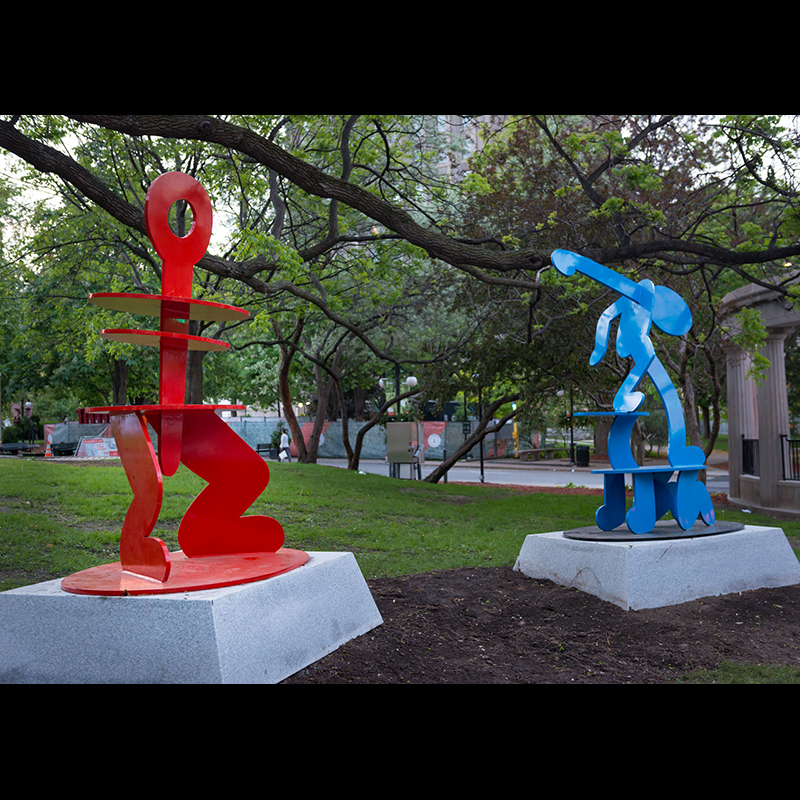 The organizers wish to thank the project’s many artists, lenders, collaborators and institutional and private partners, as well as the Ville de Montréal and the residents of Sherbrooke Street, who have agreed to accommodate these sculptures, photographs and flags.